By default, a default department name “Default Department” on new account add. The administrator can rename this default department and can also add new departments. Click on[Edit]link on default department record. Enter new department name and department code of default department. To add new department, follow these instructions. 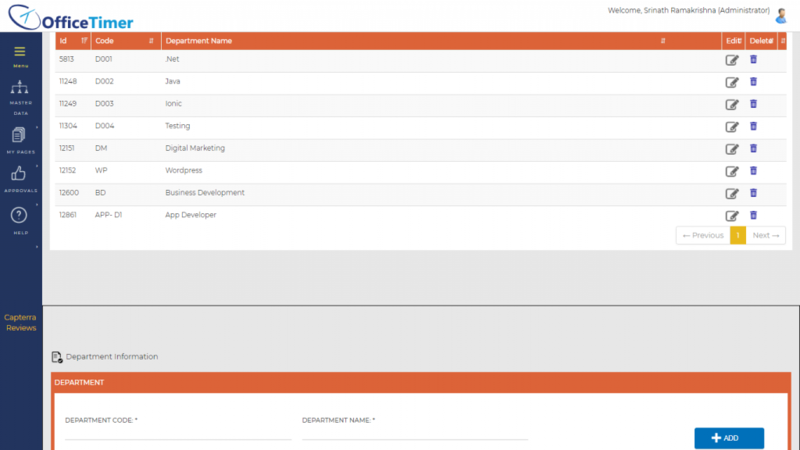 Enter new department code and name in“Department Information”form. Click on[Add]to add this department. In[Department List], click on[Delete]link of record which you want to delete. In[Department List], click on [Edit] link of record which you want to modify. Update your required modification in [Department Information] form.